Ferrules manufactured by our organization find application in fuse components, furniture among others. We manufacture ferrules using various metals such as Brass, Aluminum, Nickel Alloy, Stainless Steel. We believe in customization and have the technological capabilities to manufacture products as per clients' need. 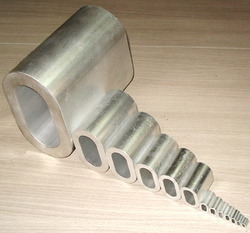 Sanitary Male Threaded Ferrule used to connect different angles of pipe. It works well in common fitting and can withstand a maximum working pressure. Riding on unfathomable volumes of industrial expertise, we are trading an excellent range of Steel Ferrule. We are offering a wide range of MS Ferrules. These MS Ferrules are processed through quality based raw material. 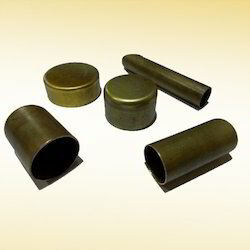 We offer these MS Ferrules at market leading prices and as per client requirement. Backed by our expert and experienced professionals, we provide Mild Steel Ferrule. We are engaged in supplying of S.S Ferrule Fittings. Our range is appreciated for its features like resistance against high pressure, impulse, vibration, vacuum, temperature and durability.